A women only health and beauty salon performed by a professional and qualified health and beauty therapist with over 15 years of local and international experience. Treatments of a high standard using only the best quality products and advice of a high standard. Situated in a quiet and peaceful residential area, clients will feel welcomed and relaxed and every client treated for their individual needs. 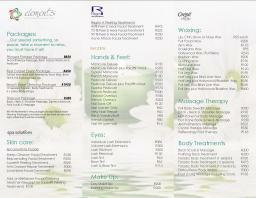 Treatments are affordably priced to suit anyone whether a student, pensioner, working ladies or home executives. Operating times are usually between 8:30am until 5pm week days and 1:30pm until 6pm on weekends but clients are welcomed after hours for flexibility when appointments are arranged in advance. Bookings are essential and recommended to avoid disappoinment. 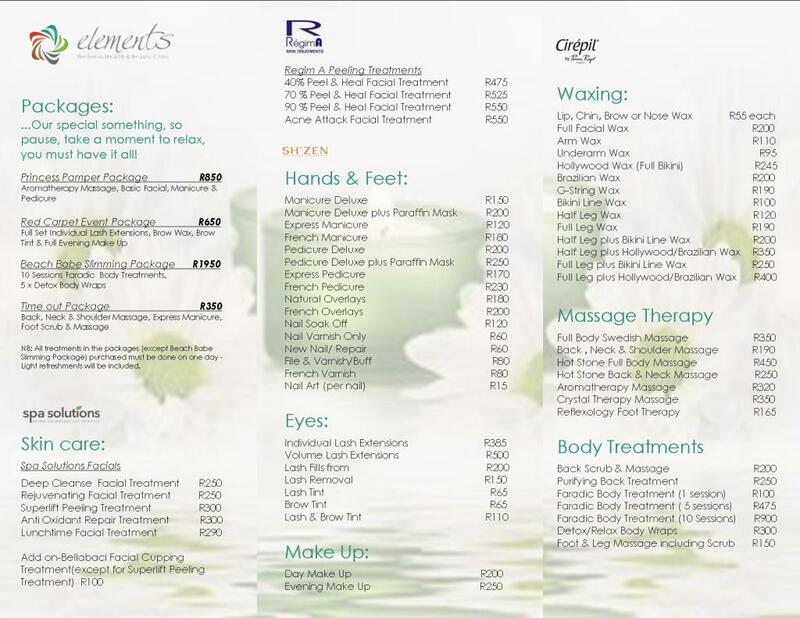 Visit my facebook page: Elements Wellness - Health & Beauty Clinic or my website www.elements15.wix.com/wellness for treatment price list and more info on special offers and products. Find me on Instagram: elements_wellness15 @ElementsWellness. Testimonials are curated by Elements Wellness Health & Beauty Clinic and are not independently reviewed or verified. "Elements Wellness-Health & Beauty Salon comes well recommended!" "Great atmosphere, Ayesha is very professional and I trust the advice she gives to me. She is more like a friend than a therapist to me." "Ive never felt more comfortable half-naked...lol. Its true, Ayesha's experience and confidence in her skill is wonderfully relaxing and puts me at ease everytime. This coupled with her superior products (oils and waxes especially) and attention to detail ensures that I will return to Elements time after time!"